A second possibility to kick off you gaming experience with this operator is the cumulative, step-by-step free play reward that opens the doors to a potentially huge quantity of spins! 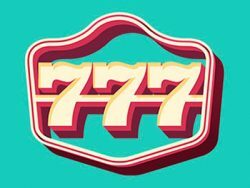 With this scheme, you can get a 100% match of up to £100 on your first deposit, using the 777 Casino bonus code 1LUCKY7, and then get follow-up deposit matches of 30% each with further codes 2, 3, 4 and 5LUCKY7. You can claim up to £350 for each of the follow-up deposits – but do keep in mind that the installments have to occur within the first week of being a registered player if you want to reap these benefits. 💵 205 Loyalty Free Spins!